Some very good news came in today that requires an update to a previous Tidal Life post. 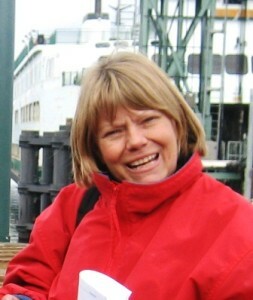 Jan Holmes, she of the tireless intertidal monitoring and eelgrass research, has been selected the 2010 Cox Conserves Hero for Western Washington. With the award comes a $5,000 donation to the non-profit of her choice. In a not too surprising development, she’s chosen Beach Watchers, the organization that’s already been the beneficiary of her energetic work for years. Congratulations Jan! And thanks for everything you do to educate us all about the amazing life of Puget Sound waters. Jan is a role model to all of us. Congratulations on this well deserved award. She’s my hero and richly deserves the honor. Jan, you make us proud.